Street Art or Graffiti though mostly not legal in many countries, is art that is much appreciated by all. Its visual art created in public locations or places. Usually found on walls of buildings, sides of the highways, streets etc, usually in places where passers by can see it. It started as a form or way of expressing views on different matters to the public in general. Initially most artists used spray cans but today other medias are used like mosaic, stencil art, LED art, stickers, Lock ons (sculptures are attached to public furniture), wheat pasting used to make collages and papier mache. When you walk around Montreal City you will notice some sort of creativity be it paintings on building walls, meaningful graffiti, different shaped benches, small gardens with blooming flowers, shop windows dressed to attract anyone, or even small balconies of apartments. People in Montreal are not afraid to express their artistic talents. I would have loved to share some of the photos I had taken but unfortunately my iPad stopped working and the only way to revive it was to lose some of my photos. I can kick myself for not storing them on iCloud or a pen drive. However, as they say we learn lessons the hard way. dishes out some lip sacking recipes. It would have been easy for me to bake a bread which I had in mind initially. However, I have only 2 weeks here in Montreal 🙁 🙁 🙁 and I have to start clearing the pantry and fridge. Some of the spices, lentils, rice etc my son will use but certainly not a frozen puff pastry. So shelved the bread idea and used up the ready made frozen pastry to make a delicious, filling breakfast. The idea was stuck in my head since I saw an advertisement for Jus Rolls (puff pastry). The pastry squares had an egg on it, all baked, but I added my own filling to make it more wholesome. So here’s the recipe. Whereas ready made puff pastry is available in most countries including Kenya, I have find it difficult to source it in India. Anyone knows where I can buy it in Mumbai or Bangalore? Let the frozen pastry thaw at room temperature till its workable. Don’t leave it out too long otherwise it will go all soft and will be sticky to work with. If the pastry is rolled as one sheet, you will need to cut it into 4 equal parts. Take one square and cut thin strips from it from all 4 sides… so you should have four strips. Brush the edges of the square with water. Gently press the strip on each side of the square. Place the ready square on a parchment lined baking tray. Repeat steps 4-7 with the remaining squares. Place the tray with the squares in the freezer for 10-15 minutes. If you are using cherry tomatoes, cut them into half or cut a large tomato into dices. Bake the pastry squares in the oven for 15 minutes. Take the tray out of the oven. Gently press the puffed up middle with the back of a spoon. This will create a nice depression or nest. Arrange spinach equally on all 4 squares. Top it with mushroom slices. Leave some space in the middle for the egg. Gently break an egg and put it over the vegetables. Do this for all the squares. Top it with the tomatoes. Sprinkle some salt and pepper. Bake the tarts for 20 minutes or till the egg is done and the pastry is light golden colour. Sprinkle the spring onion and parmesan cheese over the tarts and serve with your favourite sauce or sprinkle some chilli flakes over it. If you buy the ready rolled pastry don’t be tempted to make it thinner otherwise you will not get nice layers on baking. Once thawed, the pastry should not be frozen again. If you find that its difficult to handle the soft pastry put it back in the freezer for 5-10 minutes. Also if it sticks a little, dust the worktop with flour. Use a filling of your choice. Beautiful pictures Mayuri. Tart looks super tempting. Loved the idea of adding egg on the top. What an absolutely healthy and colourful breakfast! What tasty looking tarts!Perfect for breakfast! Beautiful and lovely recipe…Loved the colors! 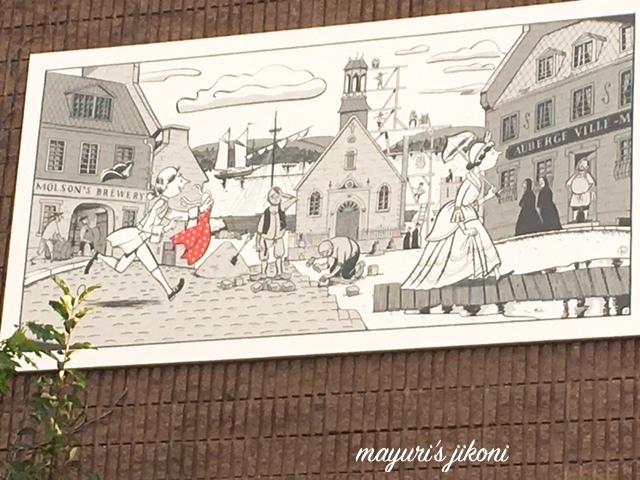 🙂 And the story of Montreal truly made me curious to visit the city…Loved the creativity! Lovely puffed pastry breakfast tarts with spinach and mushroom. A colourful perfect tart with puff pastry sheets which come so handy when sudden guests turn up.lovely share Mayuri dee. Perfect tarts for breakfast.My boys would love it . Healthy, colorful and delicious I am sure! Loved it! Thanks Sasmita… try it, its easy to make. Thank you Sujata. With the egg its a perfect breakfast treat. Thanks Kriti… Montreal is definitely an artist's delight. Very true Saswati, and I love using it for both savoury and sweet bake. Thanks Preethi, try it am sure they'll love it. Breakfast tarts look so inviting .. I will surely make them sometime. Montreal sounds like my kind of a city. Your breakfast tarts looks so perfectly done. Making me hungry. I haven't been to Montreal for ages and all of the times I went it was winter and the streets were covered in snow and ice so we didn't notice anything else.